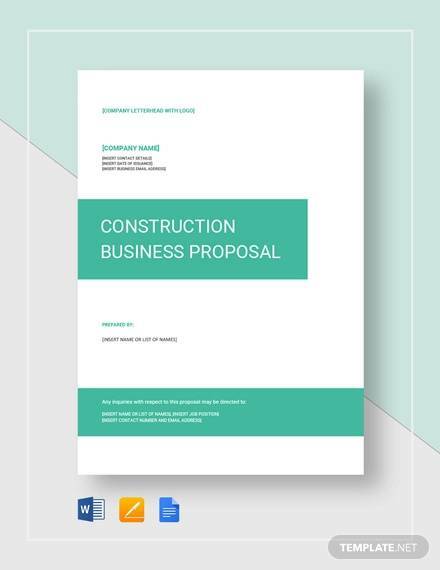 These construction proposal templates can also be called as bid response and it is required and created whenever a construction company designs to bid on any contract. It typically includes 5 crucial pieces of information, including details specifications, pricing, tender documents and a blue print. They are used to design and give the specific information or elements of the design that would attract the attention of the client and to get them to stand out and be remembered. 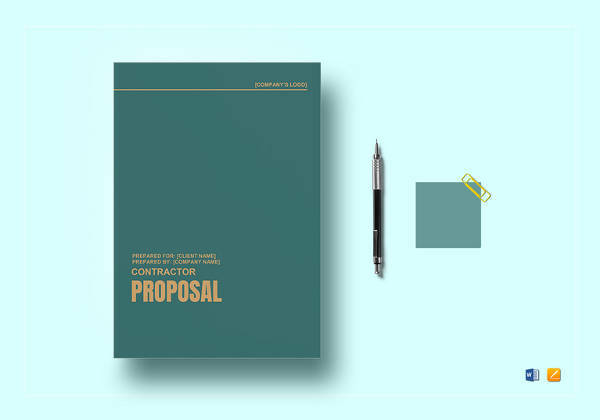 Here are just a few of the best ones of Technology Proposal Templates that you can use when you are starting to put bids in for contracts. 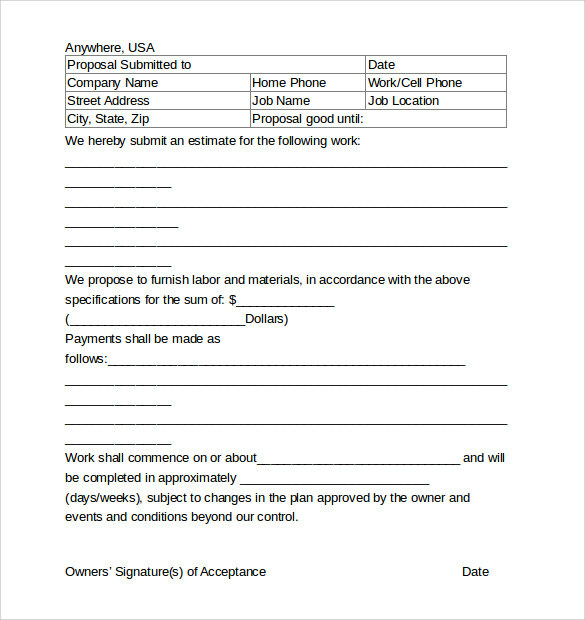 This is a simple option and it has the name of the submitting company as well as the address and phone number on the top. 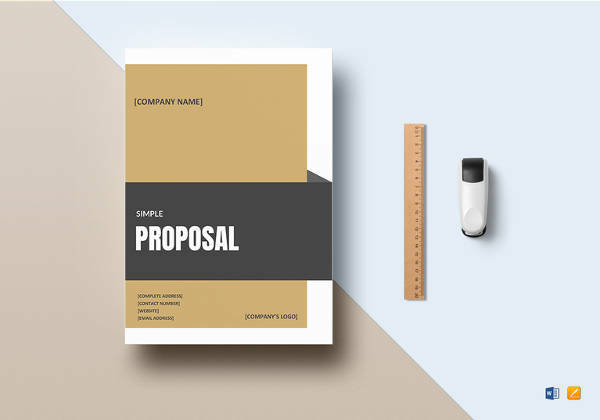 It has the details of the company to whom the proposal was given, including the information about the project name and location. 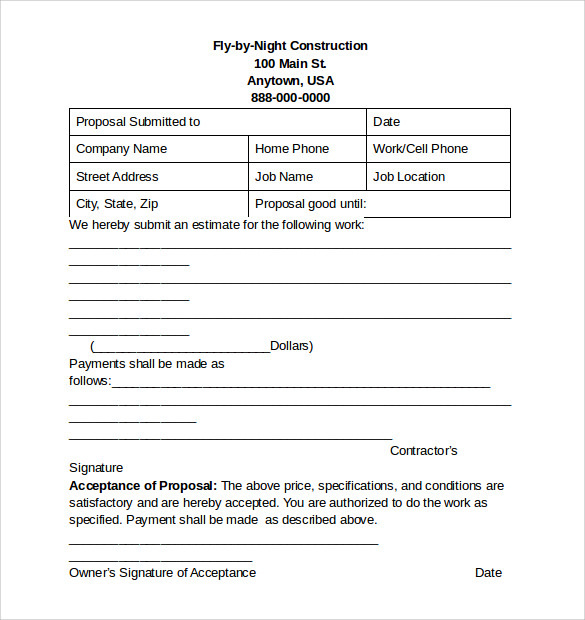 You can also write about which proposal you are submitting your bid for and give the information regarding where the payments should be submitted. There is also a spot for the owner to sign their acceptance. 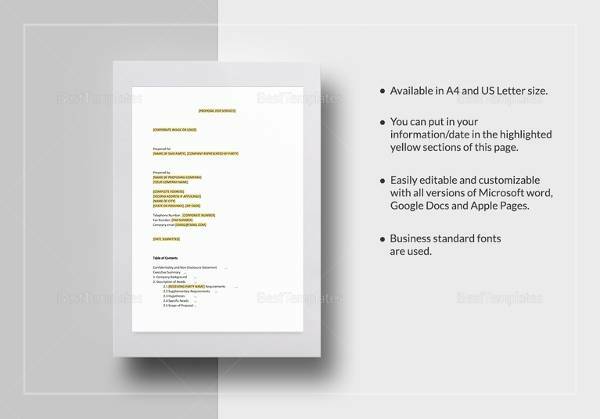 This contract style template is more in a letter style than the rest. 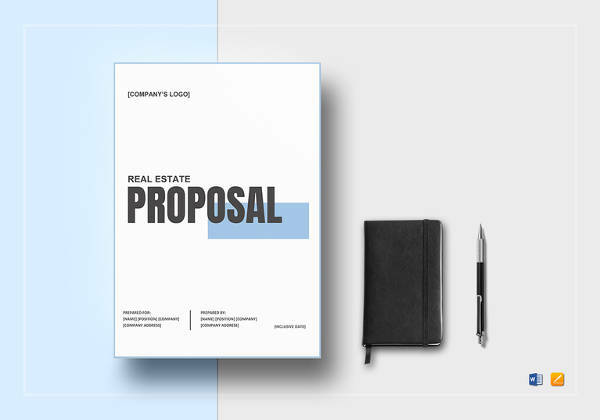 You should write the proposal date, which should be the same on all of your documents and address it to the required party. 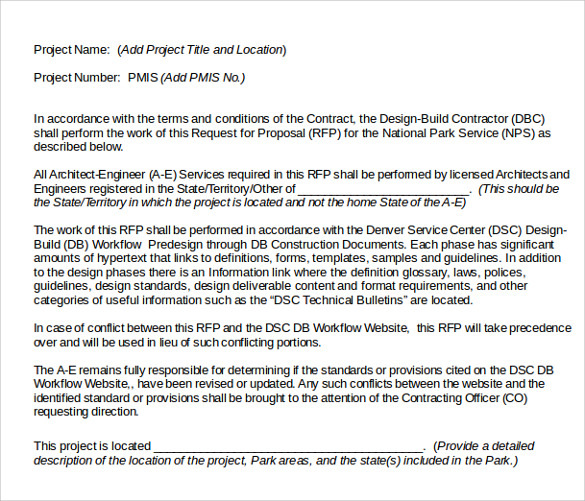 You should also give the information about the project name, location and the reference number, if given. 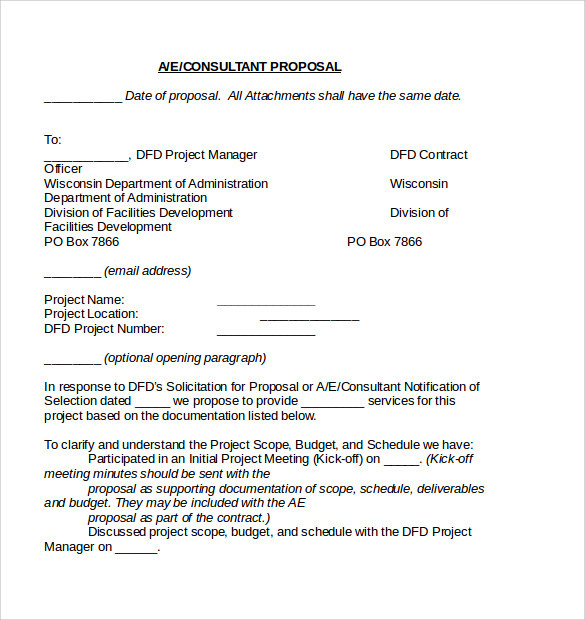 You can then write an opening paragraph about anything you want to do with the project and then talk about when you met with the concerned parties. 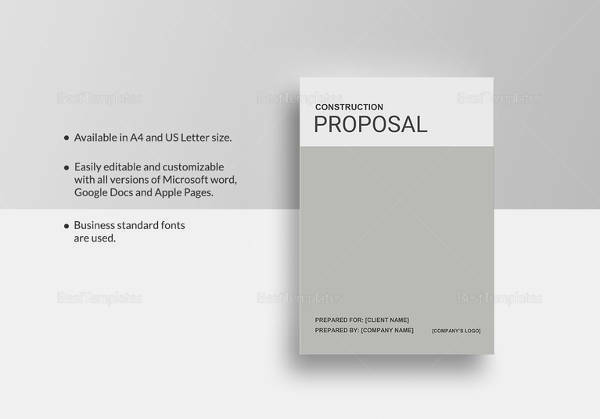 This unique construction proposal template is simple to use and has many details that makes your work super easy. 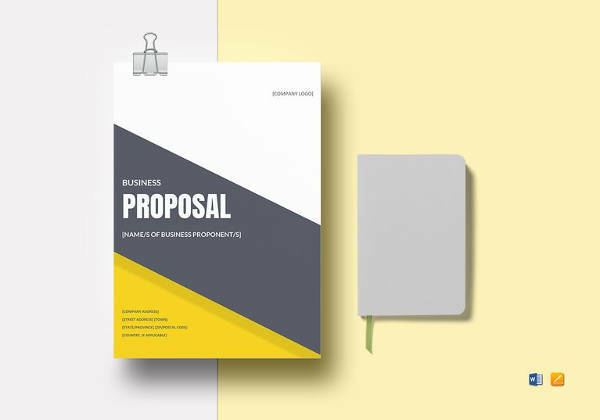 It allows you to put all of the details together in a way that makes it smoother to read and you can use an invoicing option to help you figure out the cost and include that with your proposal as well as using various softwares helping you to create the best proposal possible. You can give a brief description of the project in the opening line before going on to the background of the project. 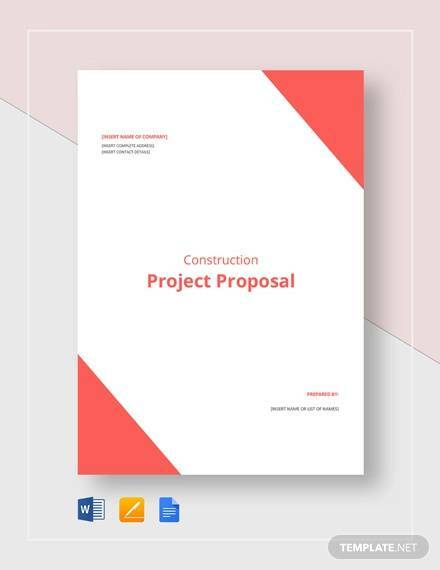 Here you would talk about what you and your company would be able to provide to the project, including the budget, time required and much more. 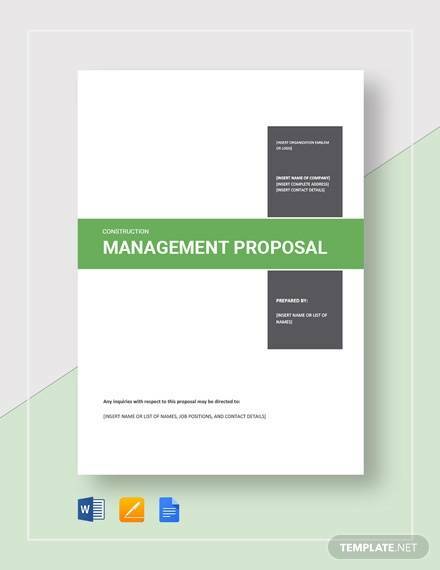 This is another great staple option that you can use to submit any proposal. 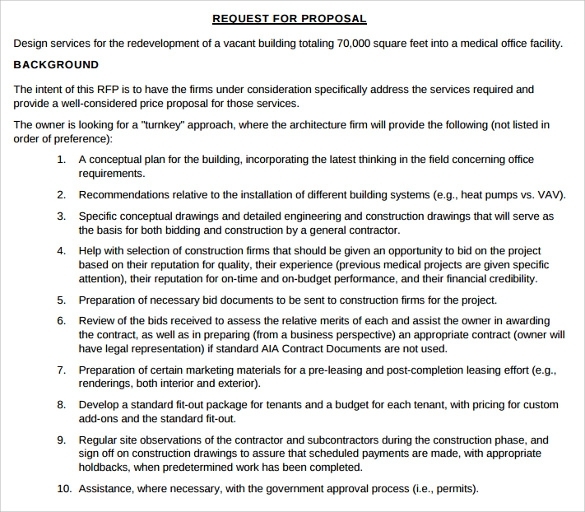 A well framed construction proposal template, which you can put out a request for bids. It tells what is required, including if the company needs to be licensed in a certain state or location, especially if the project is going to be done in another state. It also tells exactly what rules and regulations will be followed. It then goes on to detail the information about where the project will be located and what exactly needs to be taken care of and what the price range is, including for supplies and much more. 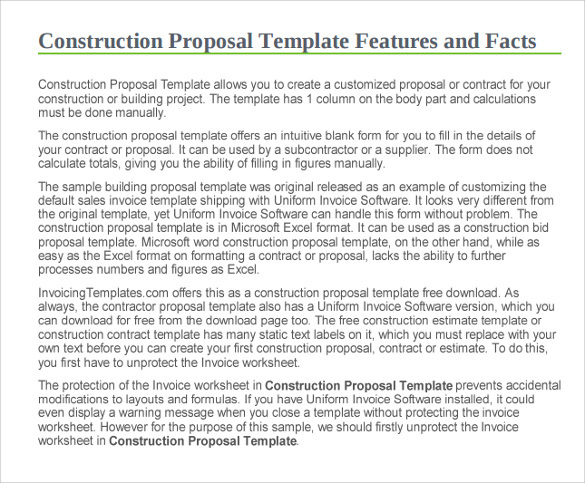 These construction proposal templates are worthwhile to be used by the construction companies and get prospective deals.